I have come to the conclusion that once you have kids Valentine’s day stops being fun. Not for the reason you think. Sure you may still manage to get away for a date night (jealous). The reason I mean it is not fun is because it becomes more work. I now have two kids in school, one in kindergarten and one in preschool. So this week I have attended two Valentine’s parties. Snacks were brought. 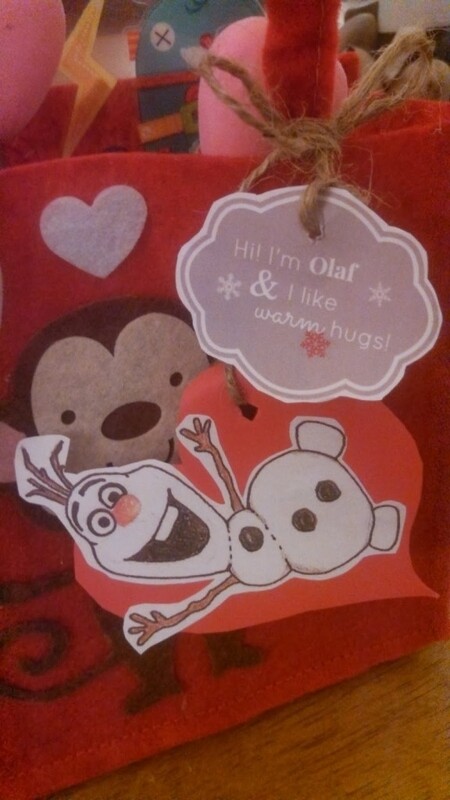 I had to assist my children in making and addressing 16 Valentines cards for my preschooler, and 23 for my kindergartner. That my friends takes a lot out of you. I also bit the bullet and decorated, slightly around the house. 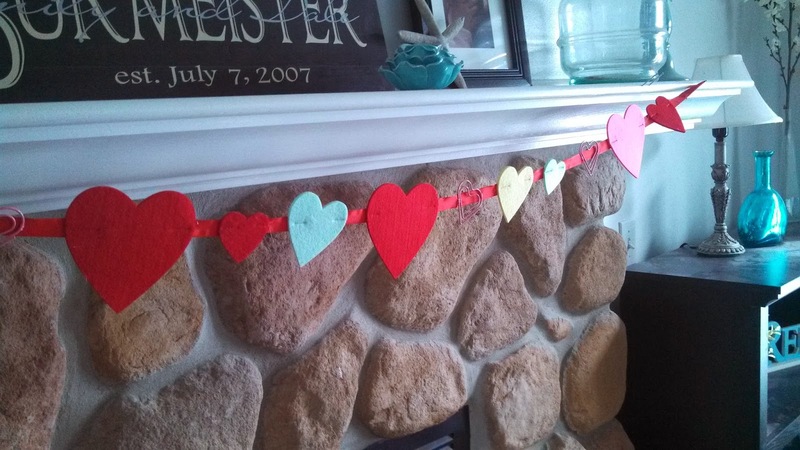 I am talking a table runner, some heart candles and a heart garland on the fireplace. No big stuff here. 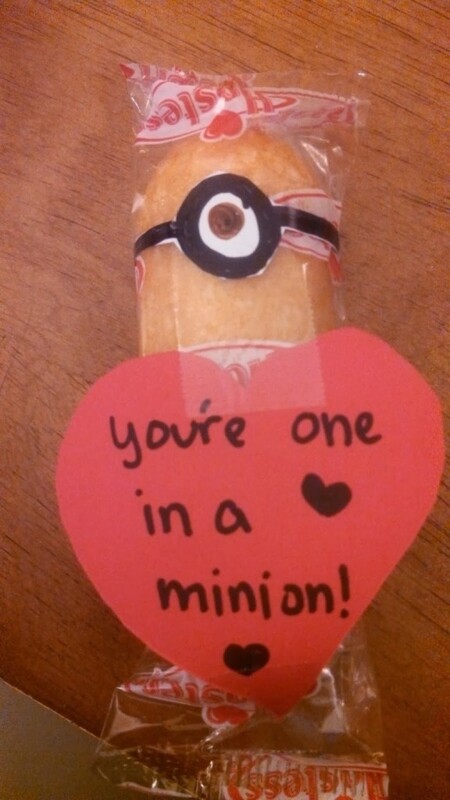 But my Valentines Grinch bug has been cured. 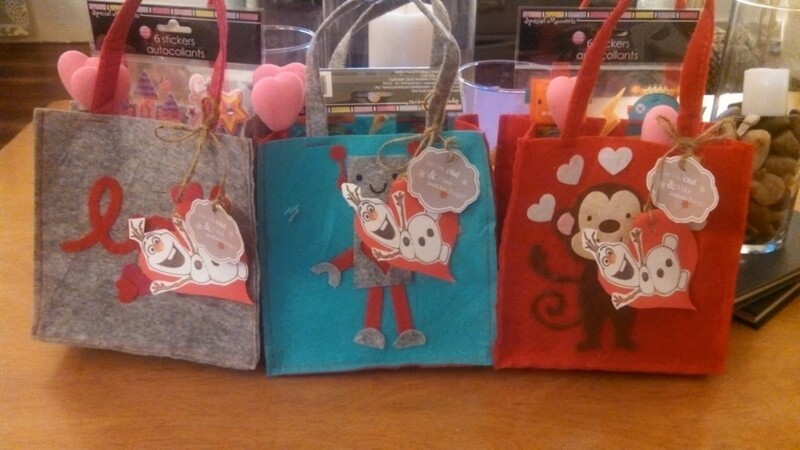 Last night at 10 pm I finally finished my kids Valentines treats. 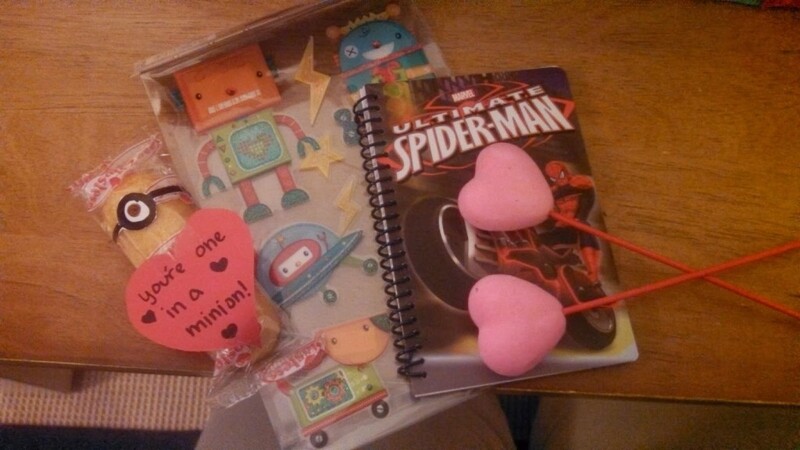 They each got a bag with some stickers, a notepad and pen, some Hershey kisses, and a Twinkies made into minions. My husbands gift was wrapped this morning hurriedly in the bathroom so he would not see or know how last minute I am. In my defense it has been picked out and hidden for weeks so there! Anyways Valentines Day is here, and honestly I am just looking forward to ordering Chinese food, sitting next to a warm fire and watching a movie, with my main man. I will leave the grand date nights to you young-ins. Maybe when my kids are older I can reclaim this holiday as one for just my Husband and I. 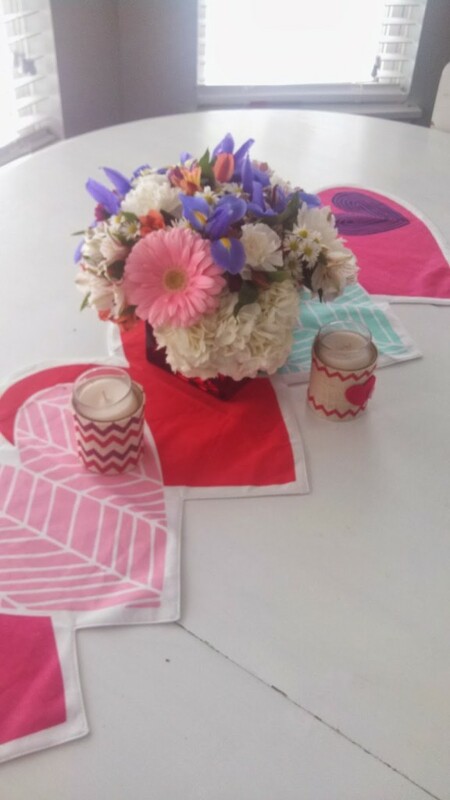 But for now, it is off to another Valentine’s day celebration for my kids. Happy Valentine’s day to all! Enjoy and spread the love!